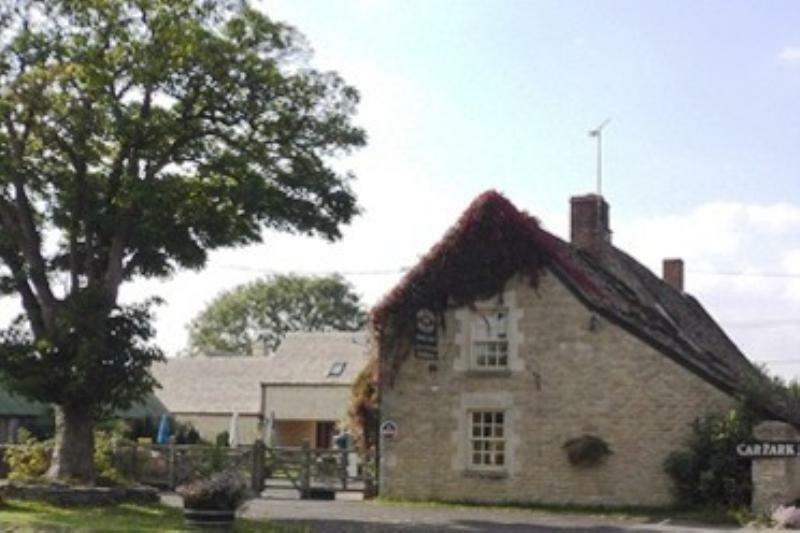 Foss Cross is little more than a crossroads on the ancient Roman Fosse Way, but there's no mistaking the Hare and Hounds Inn. It's a centuries-old Cotswold building of pale-coloured stone, with a pretty lawned garden and big patio area outside, and lots of bare boards, flagstones and stripped-wood tables once you pass through the door. Most people now make the trip to sample chef/landlord Geraldo (Gerry) Ragosa's imaginative cooking. He's Italian by birth and much of his output has a sunny Mediterranean slant: breast of chicken with tomatoes, basil and olives on a bed of linguine, veal escalopes, fennel ravioli with beans, Mozzarella and basil cream sauce, and so forth. In between, there are more familiar pub dishes such chicken liver and duck pâté with orange and white onion marmalade or roast rack of lamb served with a mint and white wine sauce, plus a few exotic detours for duck confit and pigeon breast in kumquat jus. Desserts are a similar mix of old English trifles and fruit pies bolstered by Italian specialities such as Ricotta cheesecake.